On my last post I talked about Why I’m teaching Content Marketing in the Writing Class. One of the reasons I gave was the close connection between social media, SEO, and content marketing. Humans – you know, those organisms you interact with on social media.. oh, sometimes in real life too. Search Engines – Where wonders cease and answers are found. For written assignments, students in Writing Across Platforms (see syllabus) will conduct keyword research to optimize their content for the web. As one way to introduce my students to SEO and keyword research, I use the below in class exercise with Google Trends (formerly, Google Insights). Google Trends allows users to see and compare trends on what Googlers are searching for, by showing search volume across time. Users can break down trends by category, such as geography. We also discuss keyword research via Google Adword Keyword Search Tool. But I like to talk about Google Trends first because it is easy to use and a bit more approachable with its visual layout, including interactive maps. Google Trends Activity and Discussion (Time: 15-20 minutes). Note: Lecture notes at bottom of blog post. 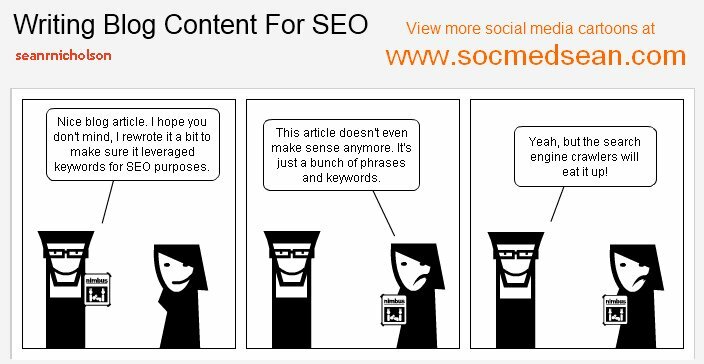 How can we optimize our content to increase the chance people will find it online? I explain how Google Trends can be used to see what characteristics or features of a topic people search for (you can see the slides below). I ask students to imagine they are writing content for a new Volkswagen. How can they know what features of the new car to highlight in their content? I use this example because Google already has a great video explaining the results of a keyword search topic. So after we discuss some popular features, I show them the video example. Then we go to Google Trends and try it for ourselves. Imagine you work for a client who wants to promote a new gym. What do people seem to be most interested in? Look specifically at Maryland. What do they search for in Maryland? How could you apply this knowledge to target user interest? Students go to the following Google Doc (http://bit.ly/WAP_GTrendsEx) and follow the instructions and visuals to walk them through the steps on Google Trends. This brief activity is followed by discussion of what they found, and their thoughts on how this information could be used. In my experience (I taught this in a social media class in the past), students at this point are excited about this tool and want to compare a topic they are interested in – maybe ice cream flavors, celebrities, brands, etc. I’ll ask students to make predictions on what topic is being searched for most and why. Often, we are surprised by what we find, which makes for a great discussion. We have lots of fun spending a few minutes doing this kind of exploration! I end by emphasizing that one way to use Google Trends is to see what people care about the most when they search for a topic, whether it be cars, gyms, et cetera. From there, we move on to discussing Google Adwords Keyword tool, which I’ll save for a future blog post. What is SEO and link building and why do they matter? What do you think? How do you teach your students about keyword research and search engine optimization? Would love to hear your exercises and thoughts below.